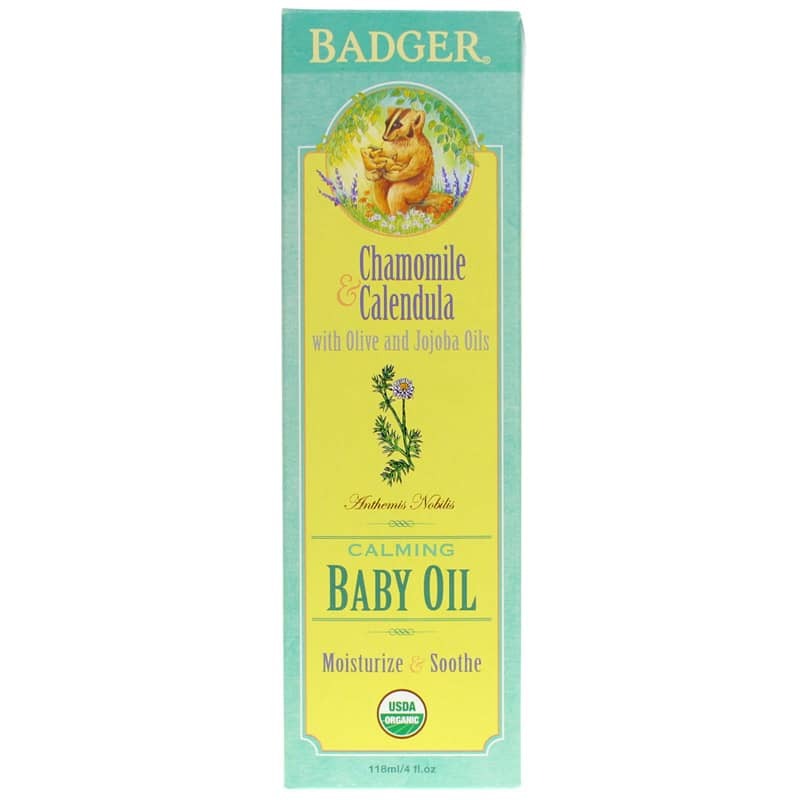 Chamomile & Calendula Calming Baby Oil from Badger helps to soothe, moisturize and calm your baby's delicate skin. Made with 100% organic ingredients, it's the healthy way to care for the most sensitive of skin. Keeping your baby happy and healthy should be at the forefront of your mind. Badger's Chamomile & Calendula Calming Baby Oil can help you do just that. Made with pure ingredients and no artificial ones, you'll love how this product supports your baby's health. 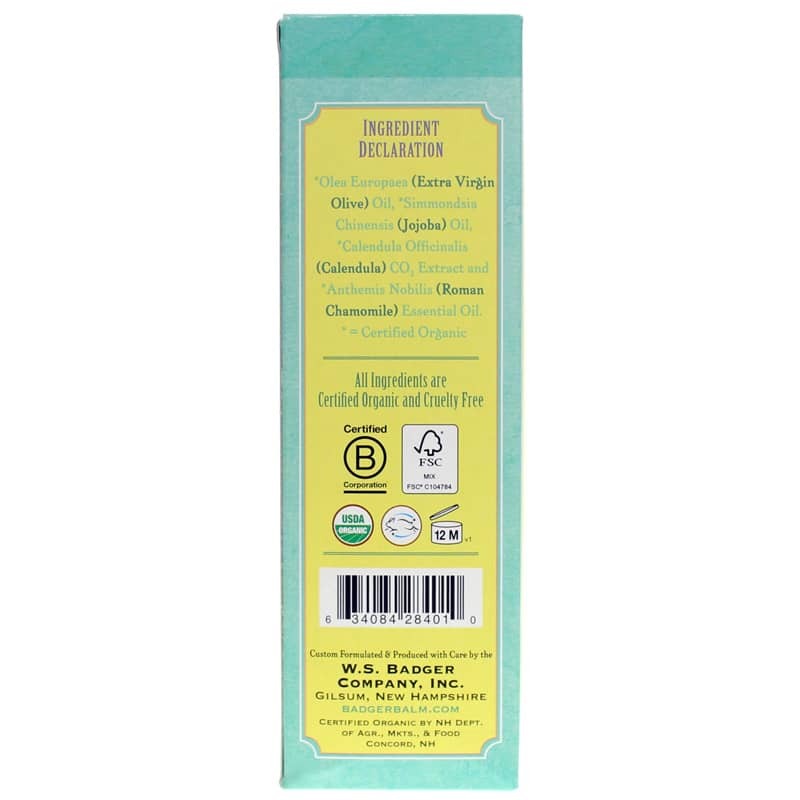 Every bottle of Chamomile & Calendula Calming Baby Oil from Badger is made to be free of chemicals, synthetics, parabens, fragrances, GMOs and other ingredients. It contains no gluten and is cruelty-free. Keep your baby's skin soft and moisturized. 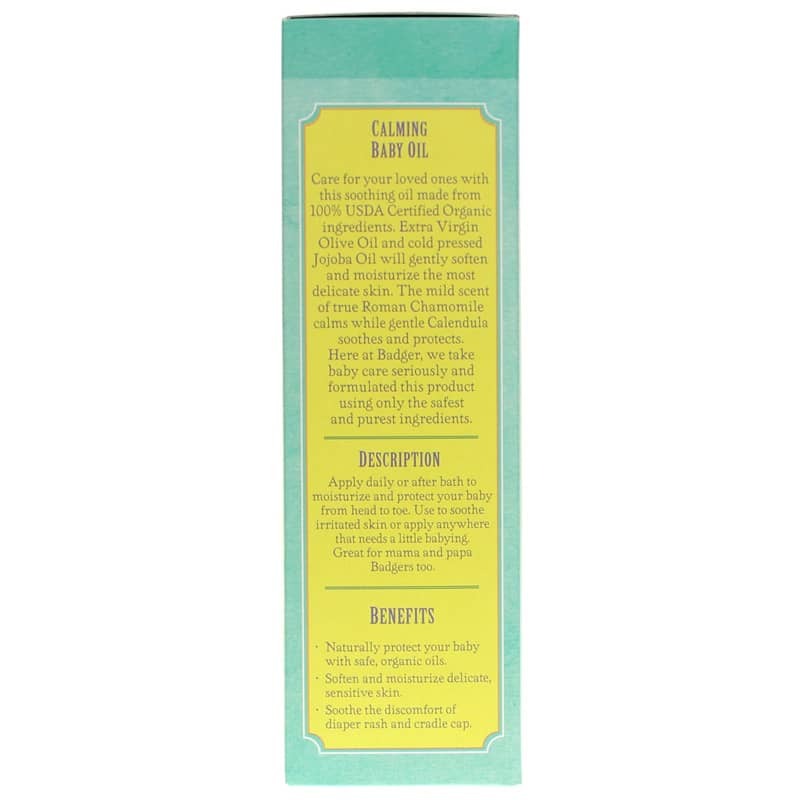 Give Chamomile & Calendula Calming Baby Oil a try today. Order now! NO chemicals, synthetics, "fragrance," parabens, GMOs, or any bad stuff you wouldn't want on a baby. Gluten-free. Cruelty-free. USDA Organic.